Mount Bromo Tour Package Price. 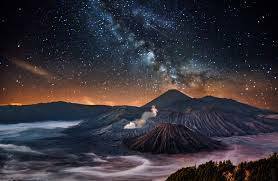 Planning for a trip to visit Mount Bromo and its surroundings depart from your home country such as Malaysia, Singapure, Thailand etc, then all you have to go to is Surabaya (airport). Because Surabaya city is the closest access to Mount Bromo, only takes 3-4 hours to Mount Bromo from Surabaya. There are many tour companies in Indonesia that sell travel packages to Mount Bromo from Surabaya, one of which is the surabayabromotour.com site. Tour packages that we offer are private tour, so you can leave at any time. Mount Bromo Tengger offers of the most amazing landscapes in the whole of Indonesia especially at sunrise as the mist rolls over the valley and the sun rises behind Bromo Volcano. However, arranging a Bromo Tour can be surprisingly difficulte specially when the holiday season (long weekend). To help you arrange Bromo trip I have bromo tour package with cheap price. 1 – Where to Stay ? 2 – Includes Bromo Entrance Fee ? 3 – Includes Rent a Jeep4WD ? 4 – Total Participants ? The Bromo tour is really special. The best view of the sunrise is an unforgettable experience. You should tell all friends to join this tour if they visit Surabaya. Interested booked mount bromo tour package cheap price and visiting the most populer tourism sites in East Java? Please “CONTACT US” to find more information.